One of the secrets behind our success is our historic involvement in different areas of the cabling industry. When we started a custom cable assembly and manufacturing business in 1983, we were responding to a request from Boeing for a very specific piece of hardware that didn’t yet exist on the market, one that would act as a converter for various non-standardized cabling systems. Boeing became our first customer, with Microsoft and many more to follow. 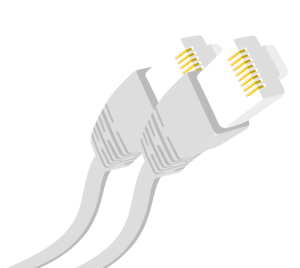 In the early 1990’s, the cabling industry had standardized and network topology engineering and design started to emerge. CTS began hiring engineers to design our networks. We soon realized that the real need was outsourced IT managerial services, so IT services became our focus. Within 5 years, however, everyone needed access to the internet, and eventually IT departments moved internally. With a growing team of technicians, engineers and electricians, the focus of CTS moved to custom cable assembly and active electronics and engineering. By 2000, CTS was a fully operational team of experts who could design, build and service any system in the low-voltage cabling infrastructure market. In 2006, CTS upgraded our license from 09 to 06 Electrical, allowing us to expand our service capacity into the wide range of integrated technology systems we offer today.